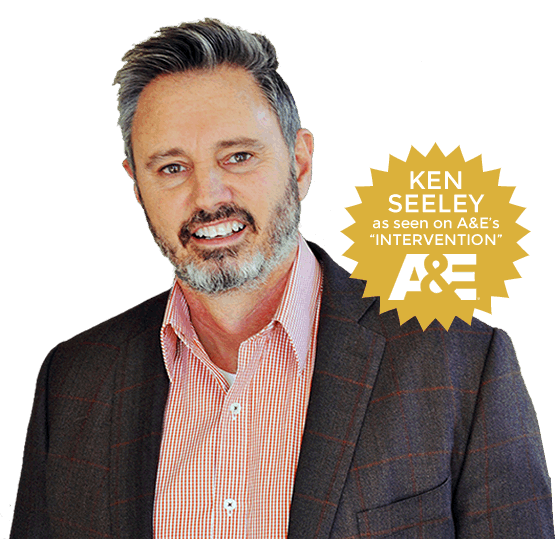 At Ken Seeley Communities and Rehab, our expert and compassionate staff provide the highest level of addiction treatment available. With a full spectrum of comprehensive addiction treatment services, our clinical staff is dedicated to guiding clients through each step of the recovery process. Treatment for a substance use disorder will entail a multiphase journey, beginning with a medically supervised detox, then segueing to an outpatient or residential rehab program, and culminating with ongoing continuing care services. A team of addiction professionals will include psychiatrists, psychologists, licensed clinicians, detox specialists, and individuals who provide specialized adjunctive services. A medical detoxification is the first step in addiction recovery. It involves a carefully monitored detox and withdrawal process where medical interventions and emotional support are provided throughout the detox period. A medically monitored detox provides a higher standard of care where trained detox specialists can ease withdrawal symptoms and quickly respond to unexpected medical issues that might arise. Residential, or inpatient, treatment involves a client residing at the rehab center in the provided housing while enrolled in the treatment program. Residential rehab offers 24-hour support with a daily schedule of multi-dimensional therapeutic activities. These include psychotherapy, group therapy, family counseling, 12-step recovery group meetings, addiction education and relapse prevention planning, medication management, recreation and fitness activities, and adjunctive therapies. Outpatient treatment is an umbrella term for a range of treatment intensity determined by the history of the addiction, the amount of substance being regularly consumed, whether there is a poly-substance addiction, and if there is a co-occurring mental health disorder. Outpatient rehab allows the client to remain at home and involves a combination of psychotherapy, group therapy, and addiction education offered in three intensities, partial hospitalization program (PHP), intensive outpatient program (IPO), or basic outpatient rehab as a step-down for individuals who have completed a residential program. Once a rehab program has been completed, the client will receive ongoing support through regular outpatient group, day treatment, or individual therapy and participation in recovery groups. Continuing care is an essential aspect of achieving a successful long-term recovery, helping clients navigate the challenges that may pose a threat to sobriety especially in early recovery. Sober living housing can significantly increase the successful outcome of addiction treatment. Whether sober living is accessed during outpatient rehab or utilized following discharge from a residential rehab, these transitional living spaces offer a drug and alcohol-free setting where newly acquired recovery skills can be practiced and reinforced. Sober living also helps act as a deterrent to relapse by requiring drug and alcohol testing and a zero tolerance policy. It is very common for individuals with a substance use disorder to also have a co-occurring mental health disorder. Such mental health conditions as depression, anxiety, or bipolar disorder often accompany a substance use disorder. The dual diagnosis requires a specialized treatment approach, addressing both disorders simultaneously in treatment for the best recovery outcome.